What are Federal Government of Nigeria (FGN) Bonds? Federal Government of Nigeria (FGN) Bonds are long-term debt instruments issued by the Debt Management Office (“DMO”) on behalf of the federal government of Nigeria. When an investor purchases an FGN bond, the investor is indirectly lending to the government to finance its budget deficit. Interest is earned on the investment semi-annually or quarterly. When does the Federal Government Issue Bonds? The Government through the DMO issues bonds through a Primary Market Auction (PMA) conducted on the third or fourth Wednesday of each month. However, after purchase from the Primary market, investors and stock brokers can resell bonds at the secondary market. Where are FGN Bonds Traded? There are two markets for dealing government securities – the primary and secondary markets. 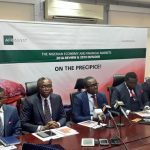 Furthermore, bonds are also traded on the floors of the Nigerian Stock Exchange (mostly retail) and the FMDQ OTC Securities Exchange (mostly Wholesale). The primary market is the market in which Government securities are initially issued for sale while the secondary market is the market for trading previously issued instruments. What is the Relationship between Interest Rate and Bond Prices? Bond Prices and interest rates have an inverse relationship. As interest rates fall, bond prices appreciate and vice-versa. However, if a bond is purchased and held to maturity, rising or falling interest rates do not impact on the principal received at maturity. What are the Associated Risks in Investing in FGN Bonds? The FGN bond is a risk-free investment because it is backed by the full faith and credit of the Federal Government of Nigeria and the risk of default is zero. Principals and returns are guaranteed. However, there could be a risk of losing value if you decide to sell before maturity given the prevalent possible risks of liquidity, inflation, credit-spread and re-investment amongst others. Are Bonds Sales Subject to Tax? Proceeds from sale of bonds are exempt from withholding tax unlike bank placements. Thus, it is more attractive compared to bank placements/fixed deposit on an annualized basis. Likewise, interest earned on bonds are also non-taxable, hence, tax deductible. What are the Benefits of Investing in FGN Bonds? Income earned on FGN bonds are tax-free and can be used as collateral for short-term borrowings from commercial banks. What is the Eligibility Criteria for Investing in FGN Bonds? Investment in government bonds is open to the public. Therefore, individuals and corporates alike can invest in bonds. 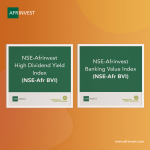 A minimum subscription of N50.0m is required to purchase FGN bonds as specified by the DMO but you can purchase FGN bonds through Afrinvest Securities Limited with a minimum subscription of only N20.0m. What is the Yield Element in a Bond? Investors lend to bond issuers when they buy bonds. In return, the bond issuers agree to pay the investors’ interest throughout the bond’s lifetime and a repayment of the face value of the bond upon maturity. The yield is the money earned by the investors. What is the Relationship between Bond Yield and Prices? An inverse relationship exists between the bond yield and prices. For instance, assume an investor purchases a bond with a 10% annual coupon rate and a par value of N1,000. The annual yield is the interest divided by its par value – N100/N1,000 – the bonds nominal yield is 10%, the same as its coupon rate. On the other hand, if the investor decides to sell the bond at a lower price of N900 with the same 10% coupon rate, the annual yield/return will be N100/N900 which is 11.1%. What are the Available Bond Tenors? Bond tenors refer to the time-to-maturity of a bond. The minimum bond tenor is 2 years. Available bonds in issues have maturities of (3, 5, 7, 10 & 20) years in issue. What are the Charges for FGN Bond Investments? We charge a 1% flat fee on the face value of the transaction. How will the Interest on my Investment and Principal be Repaid? The Coupon/ Interest will be paid into an account designated by the investor within the duration of the bond and the principal is repaid at maturity. How is the Coupon Calculated on the FGN Bond Investment? Do I have to hold Purchased Bonds till Maturity? No. Bonds can be sold in the secondary market before maturity. However, there is a risk that the bond can be sold at a discount to the initial investment. On the flipside, there is the possibility that they can also be sold at a premium to the initial purchase price. What other Processes are Involved? Other processes may involve opening an S4 account on CSCS which once concluded, your in-house account will be debited, and bonds domiciled in your CSCS account after 2 working days of the transaction (i.e. T+2). How can I Optimize my Current FGN Bond Portfolio? Once you indicate the interest to optimize your current portfolio, the Securities Trading Team in conjunction with the Investment Research Team will can carry out a detailed analysis of your current holdings and make recommendations as appropriate. Can I request Additional Information on Bonds? 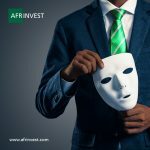 Yes, Afrinvest Securities Limited can provide additional information for clients upon request. In addition to this, we also update existing clients on a weekly basis, about new offerings and investment opportunities they can take advantage of.